Come out to the Mitchell Opera House to see some of the best local talent around, that will compete for a chance to participate in the final talent showcase! 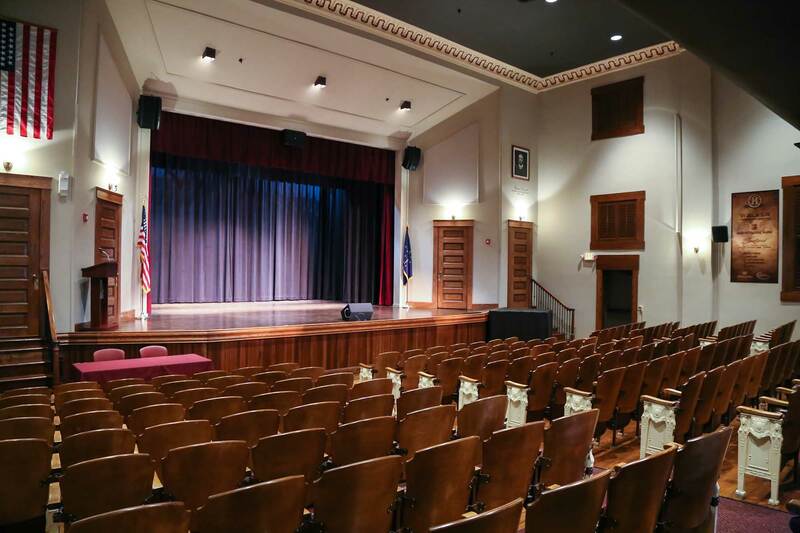 The Mitchell Opera House Live Talent Showcase is open to local members of the community of all ages, residing in Crawford, Greene, Jackson, Martin, Monroe, Lawrence, Orange, and Washington counties. This contest is for amateurs, not those who are performing professionally and is an opportunity for the talent contestants to have a chance at a $1,000 grand prize! Mark Bryant will emcee the event. Holly Kinser from Bloomington will be singing. She is 15 years old and has been singing since she was 2. She currently sings with the Bloomington BEAT Show Choir and high school choir. Riley Elise from Bedford will be singing and playing the guitar. She studied music at Belmont University in Nashville, TN as a vocal music major. Jillian Keen from Paoli will be singing. She has been singing in her school choir for the past six years but started singing at the young age of four. Marty Borrow from Bloomington is a songwriter and will be singing and playing the guitar and harmonica. He began playing music in his church and still does, along with being a worship leader at his church. Chloe Wilcox from Mitchell will be singing. She has been singing since she could talk and hopes to eventually share her talent with the whole world. Barbara Spencer from Bedford will be playing the piano. She is 86 years young and graduated from Purdue in 1955. Miranda Schultheis from Seymour will be singing. She has spent her life singing; mostly in the shower or car, but also in local talent shows, school choir concerts, musicals, and state competitions. Haley Chase from Bedford will be dancing. She is 16 and has been dancing since she was three. Dance is her passion and she hopes to be dancing for years to come. Karston Brim from Guthrie will be singing and playing the guitar. He is 15 years old and began playing drums at 5 years old and got his first guitar at the age of 12. He has been playing and singing in Church for over a decade in his family music ministry called Brim Ministries.